Carpet Cleaning for Perth Uses Advanced Technology for Cleaning| Hire Now! Gone are the days of shampooing one’s carpet to keep it clean and bacteria-free. Advanced technology gives us the required tools to get rid of the endless drying time associated with carpet cleaning. Old cleaning methods involve immense drying time and today’s generation being pressed for time does not find these methods convenient to apply. We at Carpet Cleaning for Perth provide the best cleaning service by putting to use the advanced technology available for similar purpose. We undertake an all-encompassing service towards cleaning and maintenance of domestic as well as commercial buildings. Few of the latest state-of –the-art technology used in cleaning of carpets at City Beach WA 6015 are as follows. A commercial grade carpet cleaning equipment fitted with high powered 2 stage vacuum motor. A pump pressure of 120 PSI supporting water temperature up to 140 degree Fahrenheit. Six hours is the drying time for low flow machines. To facilitate quality extraction, the machine comes with a 12 inch patented adjustable carpet cleaner wand. This is commercial grade equipment used to make your carpets spotless clean and fresh smell. Pump pressure of the system is 170 PSI while it supports a higher temperature of 150 degree Fahrenheit. It takes four hours for drying. The tank capacity is 4.5 gallon. With adjustable carpet cleaning wand, the machine makes sure to perform an effective cleaning. Greater suction power easing out the extraction process. Industrial grade high power equipment works best for commercially used carpets with stubborn stains and dirt. Superior quality effective cleaning results. 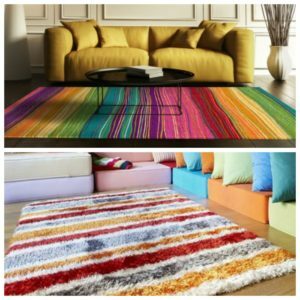 Best used for carpets in office, commercial complex, business malls in City Beach WA 6015. Pump pressure of 220 PSI and can deal with a temperature of 210 degree Fahrenheit. One hour is the drying time taken by the low flow equipment for heavy carpets. To facilitate quick cleaning of large surfaces it comes with a cleaning path of 20” and 50’ power cords. As professional carpet cleaners, Carpet Cleaning for Perth applies technology to ensure better cleaning and faster drying. Carpets used in industrial belt or commercial purpose are more prone to dirt accumulating conditions like body oils, spills, sweat, soil, arising from increased footfalls. Cleaning methods using regular detergent and ordinary vacuum cleaners do not help. We take special care in cleaning carpets used for commercial purpose and this happens to be our core strength area. For their effective cleaning and increased durability, powerful cleaning equipment with specific solvents is put to use. Wands, tools and other fitted apparatus that come with the equipment facilitate cleaning of various fabric types. Tough grime, deposits and dirt marks are removed with relative ease. Our service is easy on pocket and we ensure you get value for every penny spent on maintenance of your properties. Do give us a call to fix up an appointment at City Beach WA 6015 and allow us serve you better. We, at Carpet Cleaning for Perth, are specialist upholstery cleaners who know our job well. 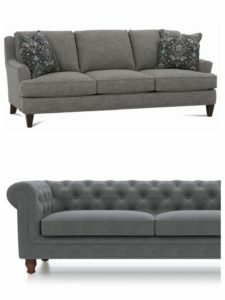 We are aware how much you cherish your special sofa or your upholstered furniture and want to see them spotless clean. You want your children to play on them without feeling the constant fear of bacteria, germs and other viral infections. Trust us with outstanding results in terms of cleanliness. We set a new standard of hygiene while dealing with upholstery cleaning. You are of course aware of the material used for upholstered furniture. Upholstery is made up of much finer material and hence requires skilled handling. Unskilled technicians can end up spoiling the fabric leaving behind permanent tack marks. We are particular in recruiting only expert skilled professionals at City Beach WA 6015. This is to ensure we provide best customer service to our loyal patrons over the years. Apart from taking due care in recruitment, we make sure our technicians attend regular training sessions to acquire knowledge. Lot of research work goes on about robust upholstery cleaning techniques, cleaning solutions and new tools. We ensure you do not miss out on them. Unique features of our expert cleaning service at City Beach WA 6015. Baby safe and pet safe is what we strive to attain with our specific solvents and cleaning solutions. Our products are safe to be applied even when the furniture is being used by expectant mums. No health hazard is caused with due care to remove stains and maintain a high standard of hygiene. Deep cleansing and sanitizing of fibers destroying harmful bacteria and odor creating microbes like e-coli, salmonella, etc. We use special tools suitable for upholstery cleaning depending on the fabric material of your upholstered furniture. This is to ensure no damage is incurred while cleaning. Our professional cleaners do not allow water or solvent to get soaked into the furniture for long. This can end up losing the fibers and damaging the upholstery. Give a boost to the overall cleaning regime of your place at City Beach WA 6015 by allowing us to undertake a holistic clean-up program. We are the best-in-class organization armed with skilled expert technicians and modern technology. Go ahead investing in durability and proper hygiene of your upholstered furniture hiring professional services from Carpet Cleaning for Perth. 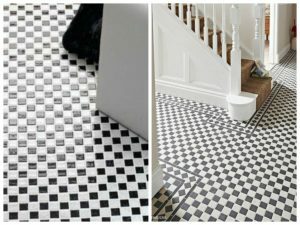 Tiles are considered to be more durable than carpets. They indeed are. However, they need a more frequent cleaning regime than a carpet owing to their abilities to attract more dirt within a short period. Proper professional maintenance and tile and grout cleaning ensure your tiles look clean, bright and spotless thus creating an endearing impression of the house owner. Carpet Cleaning for Perth is the most trustworthy organization that adheres to strict cleaning rules and oversees you get back your money’s worth. Accumulation of dirt, stains and grimes on tiles form a layer of foul-smelling debris that needs frequent treatment and clean-up process. Real time air quality index around City Beach WA 6015 reveals air pollution with reduced visibility. Apart from taking care of vehicles, we should also focus on keeping our homes clean. To start with, cleaning of tiles and grouts should be our prime assignment as a good amount of microbes breed on those porous areas. We don’t use Beach or ammonia based solutions as they can cause discoloring of tiles over long run usage. Our skilled technicians don’t use abrasive scrubbing materials like steel wool and abrasive powders to get rid of stubborn stains. We don’t leave spills on the floor to settle down as they become stubborn and hard to remove after some time. Our seasoned experts don’t flood the floor with water as the tiles being porous, allow water to seep in and settle which leads to formation of discolored tiles. Too much of seeped in water becomes the breathing ground for mosquitoes and other germ spreading bacteria. Don’t be under the false impression that sealants are permanent. They provide a layer of protection and require periodic intervention of maintenance. This is where the professionals come in. Our adept technicians use solutions specifically prepared for tile and grout cleaning. Professionals give time to ensure the drying up of tiles. Get sealant applied after every professional tile and grout cleaning. For a smooth, bright looking tiles on floors which look as good as new call for professional cleaning technicians at City Beach WA 6015. Our solutions prepared with great research remove grease, contaminants settled on tiles while maintaining the original nature of the product. Our cleaning techniques along with adherence to rules have a positive vibrant effect on your property at City Beach WA 6015. Carpet Cleaning for Perth with its skilled technicians and 24X7 professional customer support have established itself as a class of its own. From taking baby steps in the industry, we have come a long way when it comes to a robust cleaning regime of residential house and office space. Our customer support executive arranges for an inspection at your place based on which free estimates are given. We take the pain of elaborating each and every technique to the client to ensure all stakeholders are on the same page. So, what are you waiting for? Pick up the phone and call up the best cleaning technicians of the town. Give your home a healthy and happy look beaming with pride. Our team at City Beach WA 6015 takes care of all sorts of cleaning service including carpets, upholsteries, and tiles and grouts with the help of expertly skilled technicians. Hence, invest in good health along with good home today. Excellent Carpet Cleaning Services in City Beach WA 6015 – Carpet Cleaning for Perth – call us on 0424 470 460.